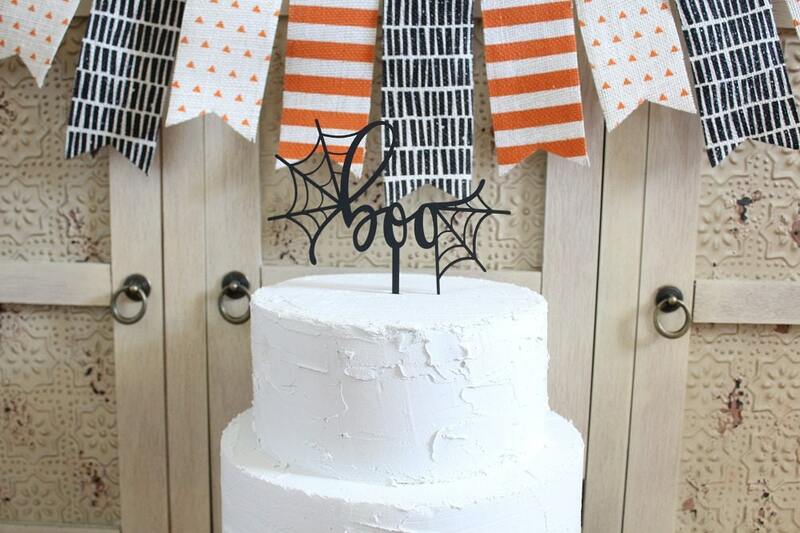 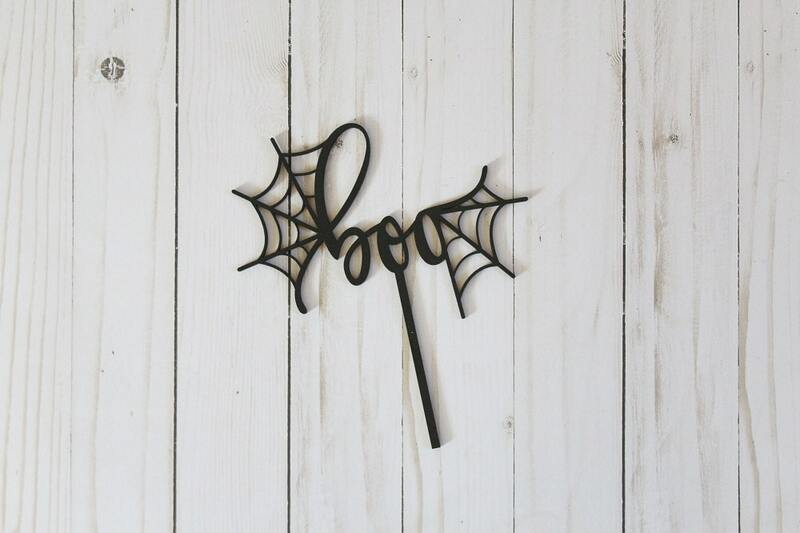 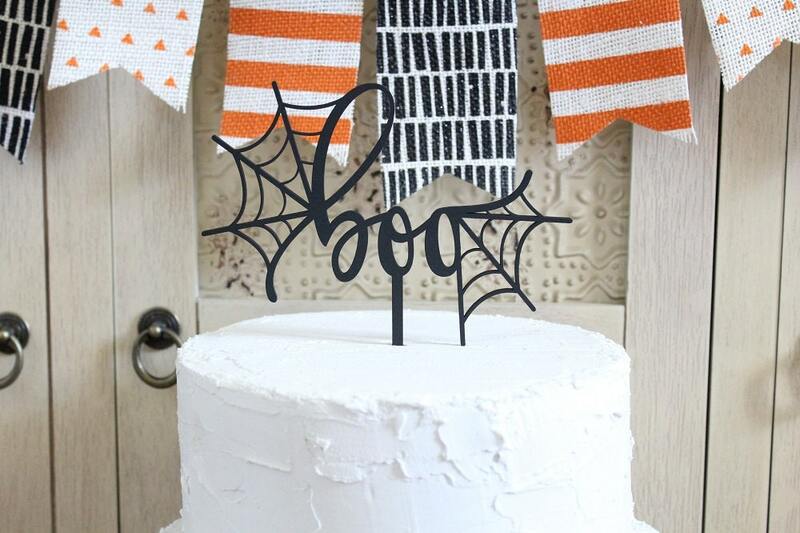 Our new laser cut 'boo' cake topper with spider web embellishing will make the perfect addition to any Halloween party.! 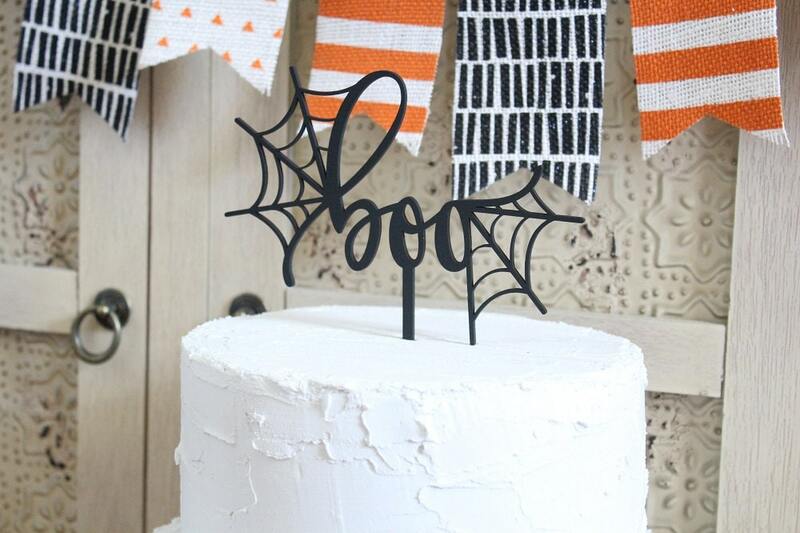 We laser cut each cake topper from 1/8" thick baltic birch and apply a black paint finish. 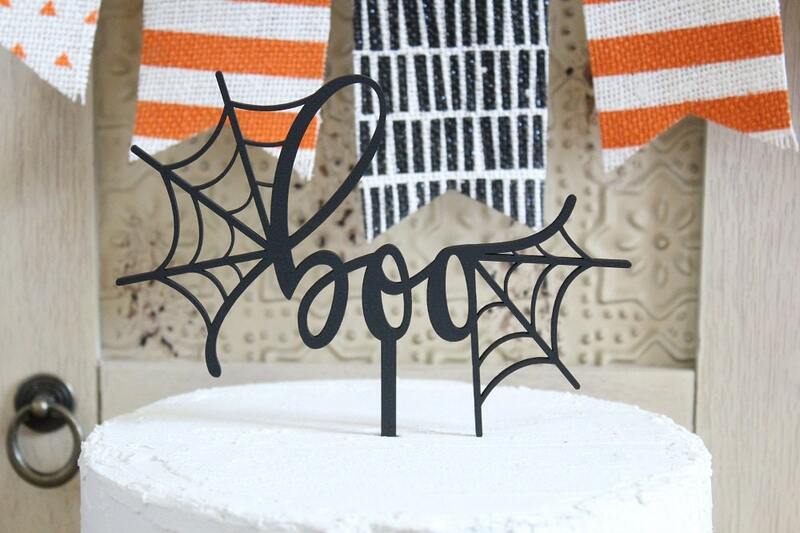 'boo' measures: 6" wide x 4.5" high w/4" attach stick.